First things first. My name is Mark Brian and I am a REALTOR in Anderson South Carolina. Bill invited me to write a post that buyers would find informative or helpful. I was surprised that one of the most influential Realtors on the web would reach out to me. So a BIG thank you goes to Bill! I decided to write about why you need a buyers agent when buying a home. Before you start thinking I am saying this for my benefit, I must tell you that I ONLY work as a listing agent. I have buyers agents in my office that work with buyers and I refer all buyers to them. The buyers agents in my office are REALLY good at what they do, so it just makes more sense for me to concentrate on what I do best. Which is represent sellers and work to get them the best possible price and terms in the shortest amount of time. So how and why do you go about choosing a buyers agent? There is a nasty rumor that buyers should go to the listing agent if they want to get a better deal. This is NOT true! I don’t know why this myth still exists or how it got started. The listing agent works for the seller to get the seller the best price and terms. 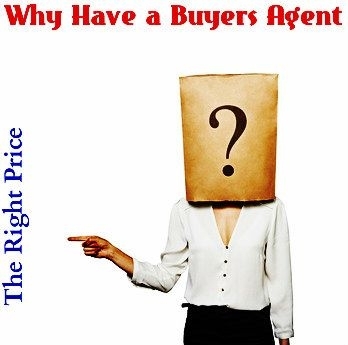 The buyers agent works for the buyer to get the buyer the best price and terms. If you are buying a home, you need a Buyers Agent to represent you! The listing agent is working for the seller. I STRONGLY recommend ALL home buyers work with an experienced buyers agent. Remember, I said I do NOT normally represent or work with buyers. Buyers always NEED a Buyers Agent! Many buyers agents close more real estate transactions in one year than most people will in a life time. There is something to be said for the experience and knowledge that a buyers agent brings to the table. My suggestion is to ask friends, family and coworkers for their suggestions. Interview several buyers agents and do not go with the first one. Do NOT select a buyers agent because they are your friend, family member or you went to school with them. Find a buyers agent that you feel comfortable with and has the experience and knowledge you need. A good buyers agent does much more than open doors or find you homes to look at. Here is a comprehensive description of what a buyer’s agent does for their clients. It is the stuff that comes AFTER you find the home of your dreams that makes the REAL value of a buyers agent crystal clear. If you have found a home that fits your budget, in the right location and has what you need, then do not hesitate to make an offer. Because if you like this home, odds are there is another buyer right now looking for the same thing. When you are working with a buyers agent, you can feel confident in making an offer. Remember the buyers agent is representing you and working to get you the best home at the best price and terms for you! But how much should you offer? What’s the current market like? Are home prices going up or down? If there are other offers, how can you make your offer more attractive? What does the comparable market analysis say? Comps is short for comparable sales. Comparable sales are recently sold homes that are very similar to the home you are considering. You may also want to look again at the active listings to compare their prices to the home you are considering. If you make an offer that is too low, you run the risk of making the seller mad. This will only make negotiating much harder. Some sellers will not even counter an offer if it is too low. With this in mind, your buyers agent will help you decide on a price that is realistic. Your offer should be based on what recently sold comparable homes have sold for. Without a buyers agent, it is also possible that you will offer too much for a property. 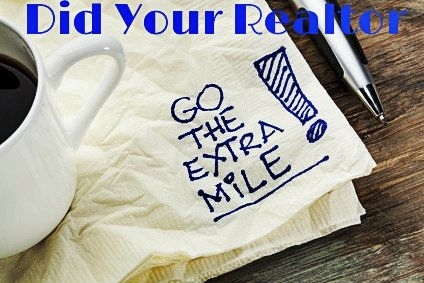 An experienced buyers agent will know the local real estate market like the back of their hand. They can prevent you from paying too much! Maybe your initial offer is close but not exactly what the seller was wanting. If the seller counters your offer, you and your buyers agent will need to negotiate the counter offer. Once again, the value of a buyers agent will become crystal clear. Price is only part of your offer. You cannot forget the terms of the offer. You cannot overlook the contingencies. Exactly how this works varies from state to state and from one transaction to the next. Again, an experienced buyers agent is worth their weight in gold when it comes time to make an offer. Your buyers agent will know how to write up the offer to include contingencies for inspections, the appraisal and financing and anything else that will protect you and help to ensure you are getting a good price and a fair deal. In fact one of the biggest hurdles in a real estate transaction is the home home inspection. An outstanding buyer’ agent will help you negotiate any problems discovered at the inspection. Sometimes home inspection discussions can become contentious especially when the buyer and seller don’t see eye to eye on what should be fixed and what is a petty request. A good Realtor in your corner will help you sift through what requests are reasonable or not. Some buyers think that if they give up their right to have an experienced and knowledgeable REALTOR in their corner, that the commission will be reduced. Actually, this is NOT true in most cases. I do not know where or why this idea came about. The commission is set when the seller signs the listing contract. The listing company then agrees to split that commission with another broker if they bring the buyer. Normally there is no mention of the commission being reduced if a Buyer wants to buy a home without professional representation. The changes that technology and the internet have brought to real estate have been substantial. Many thought that the same thing that happened to travel agents would happen to real estate agents. There have been many attempts to accomplish this but technology cannot match the consumer’s need for the knowledge and experience of REALTORS. Many buyers think that since they can find listings online without an agent, they do not need a buyers agent. Adding to this problem are the websites that produce home values which cause buyers to believe they do not need a buyers agent. These websites are NOT licensed real estate professionals. This means they are not accountable and can pretty much do whatever they want. Which means buyers find homes on these websites that are NOT for sale or sold many months ago. There is no doubt that buyers can find a plethora of real estate information online. And buyers can browse thousands of listings from the comfort of their couch. The problem is some of the information you find online is not true. Especially home values. If a website has home values that are off by 5%, that doesn’t sound too bad until you do the math. A 5% error on the price of a $300,000 home is a $15,000 difference. A BIGGER problem for buyers is all the information in the world means nothing if you do not have the knowledge and experience to use this information correctly. You have to know what information is true, what is helpful or accurate and what to toss out. An experienced buyers agent will know the local real estate market like the back of their hands. One of a top agents greatest assets is being able to determine the market value of a home for you. An experienced buyers agent will have seen almost every situation imaginable. A Buyers Agent knows how to write contracts to protect the buyer. A buyers agent is an expert in negotiations. Can you honestly say this about yourself? So while buyers can find plenty of information online, it is NOT a substitute for the knowledge and experience of what a great agent can do for you! When you are buying a home, you are dealing with what is probably the largest financial decision of your life. You need someone on your side that knows what they are doing. That person is called a buyers agent. Not having a buyers agent does not get a home buyer a better deal. Not having a buyers agent does not mean the commission is reduced. Do not select a buyers agent because they are your friend, family member or someone you went to school with. Interview several real estate agents and find someone you are comfortable with and has in depth knowledge in the area you are interested in buying a home. They should have experience dealing with the type of home you are interested in buying also. A good real estate agent will point out mistakes you could be making and not bat an eyelash in doing so. After all the best buyer’s agents are thinking about their fiduciary responsibility to you and not when they will be cashing their commission check! There is a difference between information and having knowledge and experience when it comes to real estate. If a listing agent is telling you to get a buyers agent to help you to buy a home, isn’t this something you should consider? Hopefully you have figured out that it really makes sense to have a buyers agent when purchasing real estate! Great article. Each point was so well explained. Wonderful article. I mostly work with buyers and will find that my instincts are pretty good when it comes to offer prices. It’s really important to communicate with the listing agent .. and to get some honest answers so that once we are in escrow, the transaction will go smooth for all parties. Great article. There is way more to being a buyer’s agent than bringing you from house to house. There are many steps to the home buying process that need to be managed to save a buyer time money and aggravation. Many of the steps also require negotiations. Real estate agents spend a large part of their day problem solving and negotiating. It is our job and by experience we get good at it.